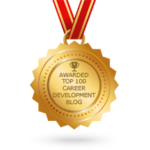 Career coaching is for people who want to feel empowered to pursue a better future. It is also for those who are excellent at what they do, but who are not professional job seekers. From our experience, many highly talented people have not yet discovered how valuable their talents are and how to express that value to their network, on paper, or online. This is where we really shine! We know that even when the candidate pool is big, talent is a challenge to find, attract and keep. If we are not helping you position yourself as an employer of choice, you are giving your competition the keys to success. In times that you have to let your talent go, service more of your employees with our cost-effective, budget-sensitive packages proven to optimize and accelerate their job searches. We know that your success depends on your network and the word of mouth that they generate for you. Your social media and community presence can magnify your efforts and attract your target customers like a magnet! Even if someone is referred to you, they still want to know why they should choose you. Let&#039;s face it: People have options. You are the best, but how do they know? We&#039;ll make sure of that. No dedicated marketing team? Then you need to take best advantage of the social media platforms that are available today to generate brand recognition and lead generation. We get that. Let us take social media off of your long to-do list so you can consider it done! Then enjoy the building excitement about your company, which leads to name recognition, leads and ultimately - new, loyal customers!